I've never dabbled into the Laura Geller waters before, but after seeing this post on Makeup and Beauty Blog, I made the impulsive decision to throw one of these into my online cart at Ulta during one of their recent 20% off sales. The vibrant pinky orange shade of Lychee Glacé immediately appealed to me, desperate as I am for spring to get here. I have been so pleased with Lychee Glacé since I got it that I've already ordered a second shade (Cranberry Glaze). Lychee Glacé is incredibly pigmented and it goes on brighter than I had first anticipated. It is almost a tad bit fluorescent on my lips, but I want to note that it is still a wearable shade. I think the fact that it is an orange with a strong pink undertone keeps it from being too outrageous. 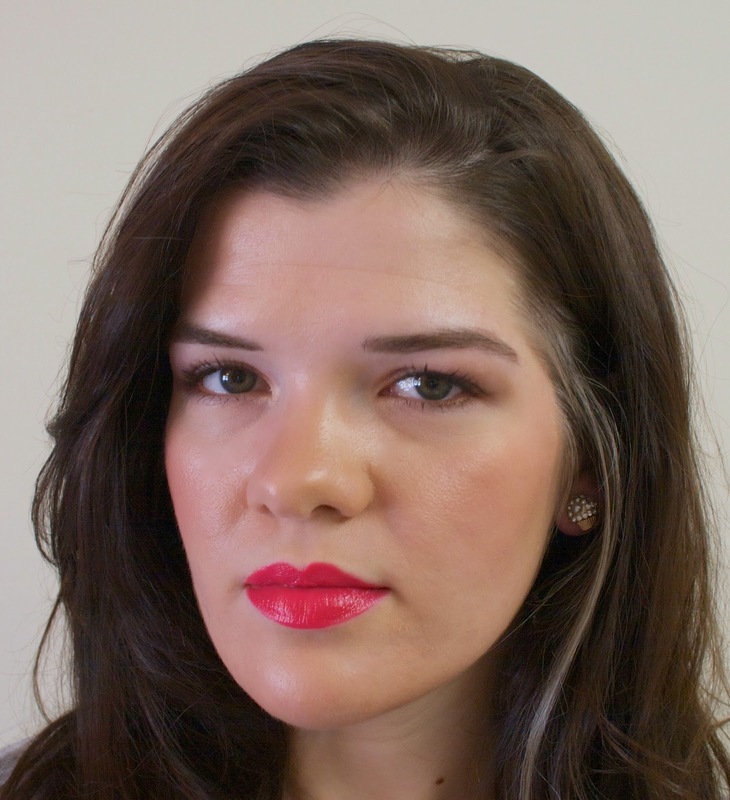 It is also the most moisturizing lip crayon I have ever tried. 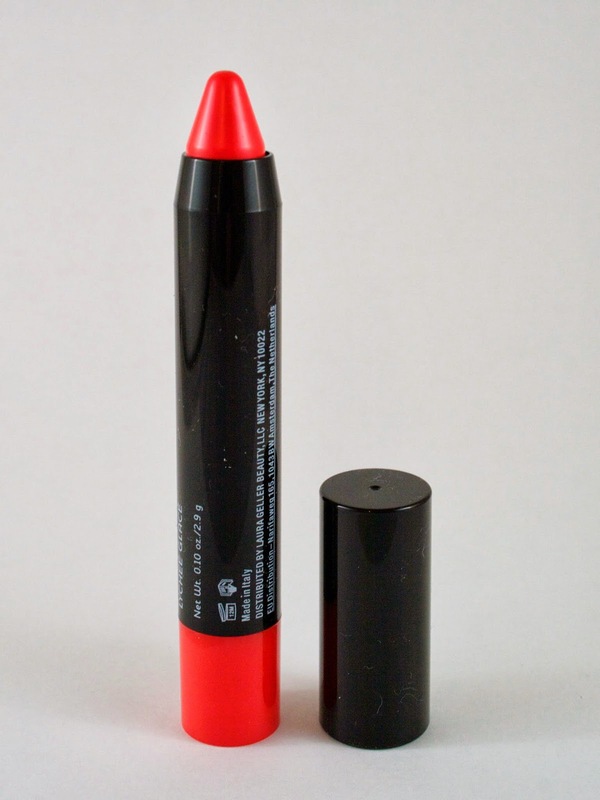 I find most lip crayons to feel waxy, but this feels creamy and smooth on the lips. In addition to its moisturizing qualities, Lychee Glacé also fades down evenly. The glossy sheen it has upon initial application seems to fade on me after a couple of hours, but the color remains and doesn't get patchy. 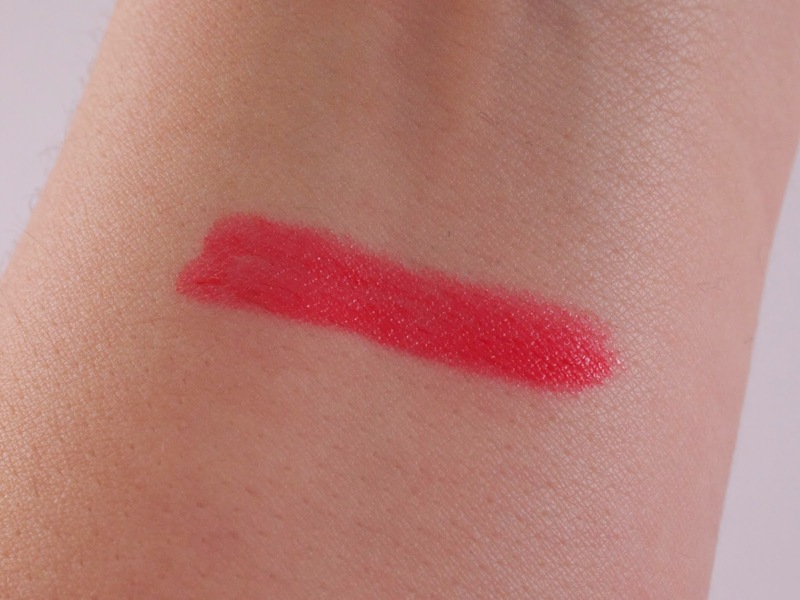 The result is a vibrant shade that is easy to wear and doesn't require constant touch ups. I truly cannot say enough good things about this product! I am especially excited to have discovered it since orange lips are bang on trend this year (and who am I to disobey Lisa Eldridge?!) It is a twist up crayon, which I am on the fence about in general. I love the fact that twist ups waste less product, but I like the fine point of a crayon that requires sharpening. Not a deal breaker either way for me, but I know many people have firm opinions on this! 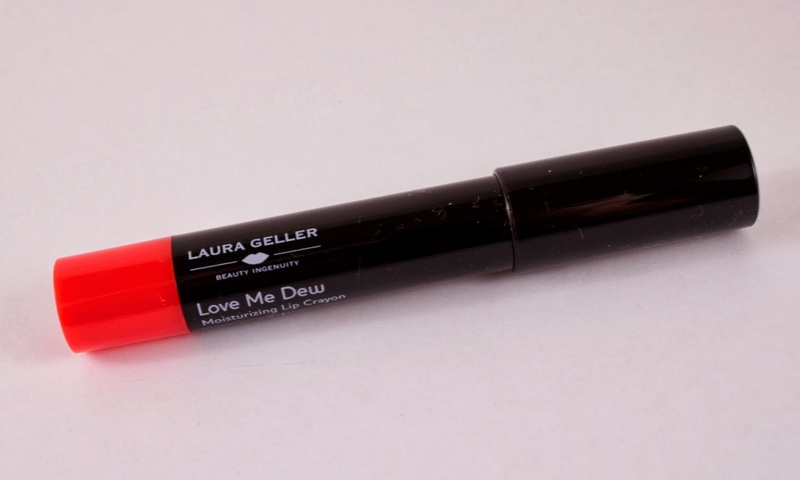 Laura Geller Love Me Dew Moisturizing Lip Crayons are available in six shades for $16 each (given the inflation of drugstore prices, this really isn't significantly more than similar products from Revlon or Covergirl). You can find them at Ulta and Macy's. 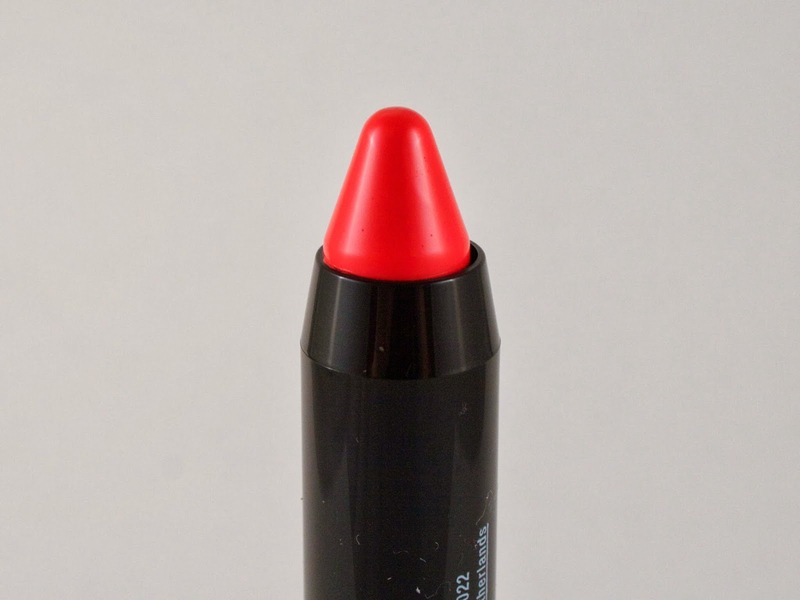 If you are a lip crayon fan, you absolutely must try these out. Trust me! Which lip crayons are your favorites? Are you brave enough to wear an orange lip this spring?